So what if you can’t afford standard art supplies! All mediums are huge these days! Draw with cast shadows! Check out these ingenious art works. Every example makes me pump my fist, “Yeah! That’s what I’m talking about!” Use what you’ve got and don’t cry over what’s out of reach! 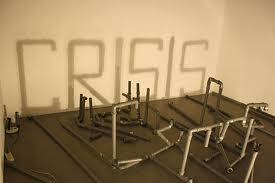 Artist Rashad Alakbarov created his “Crisis” shadow art using only a lamp and household items positioned by trial-and-error. 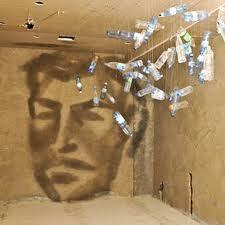 And he fashioned this shadow head from plastic bottles the same way! All Mediums are Huge These Days! 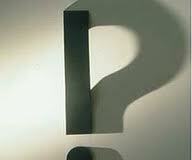 will be a regular feature on my blog! My hope is that it may provide a bit of inspiration and motivation to encourage art teachers, parents and kids to explore, take little risks, and exercise their own ingenuity. To me, in the current world economy, this message of genuine creative problem solving and empowerment is more urgent and more defensible than many other traditional, time-worn art education lessons. So there!